March 2011 - Deb Arnold, Ink. I swear, I didn’t pay ’em. And yet, as if on cue, this e-mail arrived today, just a few hours before I sent out the latest video edition of BRAINSNACKS, my beloved newsletter. This issue of BRAINSNACKS addresses questions I get about why winning awards is important, and I’ll be gosh darned if this ain’t another great angle. As an IT leader, we thought you’d be interested to hear about a customer of ours who just got the CIO 100 Award for their use of the Socialtext social software platform. You can read their success story here. 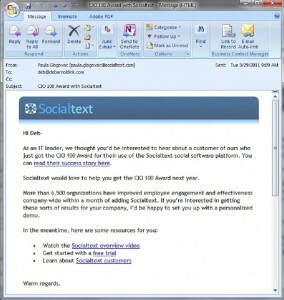 Socialtext would love to help you get the CIO 100 Award next year. More than 6,500 organizations have improved employee engagement and effectiveness company-wide within a month of adding Socialtext. If you’re interested in getting these sorts of results for your company, I’d be happy to set you up with a personalized demo. What’s the pitch? If you want to win awards, work with us. Until you’ve done a few, you have no idea how time-consuming it can be to complete an award application. The longest I’ve done is 35 pages but even shorter ones can take surprisingly long to put together. It really does take more time to be succinct. More on that in Tip #6 (“Be succinct.”). 1. Get organized: Depending on submission length and complexity, this could be as easy as setting up a few meetings or as detailed as a long spreadsheet of questions, subject matter experts (SMEs), status updates, etc. 2. Reconnoiter the territory: AKA do your submission homework. Winners carefully review not just the application and judging criteria but also scour the award site for additional resources such as a list of tips, a preparatory Webinar, examples of winning submissions, etc. 3. Gather the data: Some SMEs are easy to find, schedule time with, talk to, coax information from and persuade to send you PowerPoint decks, graphics, charts, metrics, etc. But don’t count on it. Also, don’t count on being able to identify the right SME, right off the bat, especially if you work for a company with tens of thousands of employees (you know who you are). Prepare for triangulation. 4. Write the darn thing: If you’re a fast writer and it’s a short application, you’re golden. Otherwise, be realistic about how long you need to synthesize all the data into a coherent, compelling story. If it’s a 35-pager, get prepared. 5. Manage the approval cycle: Having only one SME who gets back to you right away with minimal edits is bliss. You should be so lucky (and very often, I really am, and thankfully so). Remember, too, that there are likely higher ups who’ll need to weigh in. With ridiculously busy schedules. Who might request major last-minute changes. 6. Battle the Technology: Increasingly, award applications are online. COUNT ON having technical issues, especially on deadline day, when everyone who didn’t read this post is scrambling to submit and the servers are on overtime. Be sure to carefully review the online application well in advance so there are no last-minute surprises. Trust me on this one. 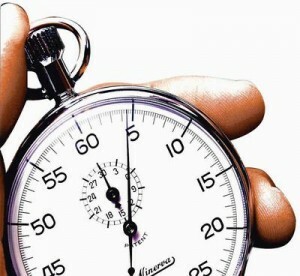 So how MUCH time does one need to complete an award submission? I once did 11 submissions in six weeks, but that’s not a pace I recommend, unless you’re OK with sleep deprivation (we did win eight!). These are words to the wise. Use them well! Where Does Your Brain Put Social Media? 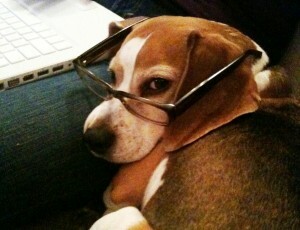 Mine, apparently, puts it with news. Or so I discovered when I finally cleaned up some iTunes mess I had made and downloaded the lastest iPhone software. 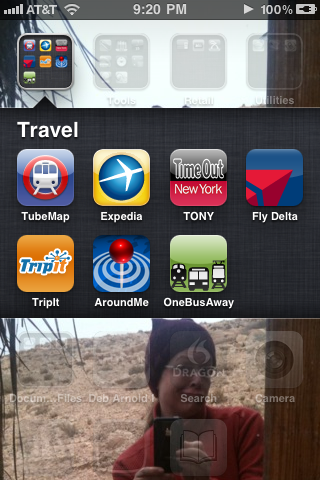 iOS 4.3 allows you to group your apps into categories and move them around to the screen of your choice. Do I put my Twitter, Facebook, LinkedIn, TweetDeck, etc. apps with iTunes, NetFlix and the like, or with my news apps? I switched them back and forth a few times but settled on the social media/news co-mingling. To me this felt very telling. I was grouping together my information sources, formal and informal. Travel apps grouped in a folder - sweet. These are the sources I consult when I want to know what’s happening – in the world, in business, with my friends and family. Five years ago, my wellsprings of data were very different. You’ve got to know who you’re talking to, aka your audience. Last week, I went for a walk. Accompanying me was Steven, my friend, neighbor and creative collaborator (including partner in crime on my holiday video – check out his new Web site), and his faithful beagle, Boris. “Horrible!,” Steven replied, making a face to match. “Not so bad,” said I at the same exact moment, also with an expression to match. And so it is, whether you’re a CEO, a marketer, a communications consultant or a doorman. p.s. Boris had no comment.